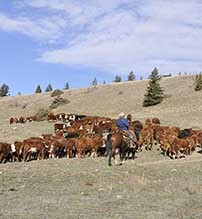 About Us - Ownership Identification Inc.
British Columbia's brand registration and inspection program protects cattle, horse and bison owners against loss of animals by theft, straying or misappropriation. 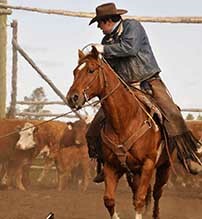 The program consists of the registration of livestock brands and the inspection of cattle and horses for lawful possession prior to transportation, sale or slaughter. The program is financed in its entirety through brand registration and inspection fees paid by the livestock producers. Ownership Identification Inc. (OII) was designated by the Ministry of Agriculture, Food and Fisheries in 1997 to administer a brand registration and inspection program in British Columbia. 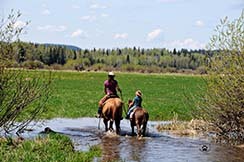 OII is a company that is owned by the BC Cattlemen's Assoc., BC Breeder and Feeder Association, BC Association of Cattle Feeders, the Horse Council B.C. and the Mountain Auction Markets Association. The company is run by a Board of Directors representing the shareholders. The head office of the company is located in Kamloops, BC. Under the designation from the Government of BC, OII administers the Livestock Identification Act and the Livestock Identification Regulation. To fulfill this role there are livestock inspectors spread throughout the prescribed area of the Province. These are all part-time employees of OII that have been appointed by the Minister of Agriculture to be inspectors under the Livestock Identification Act. inspection. Our staff and inspectors are waiting to help you.